Seacucumber Consultancy with its core team expert associates network with broad scientific and technical knowledge, we guarantee responsibly optimal bio-economic results, applying quantitative Best Aquaculture Practice (BAP) Standards in an environmentally and socially responsible manner throughout the value chain with the best cost/benefit performance. The company owes its position as one of the world leaders in its field to having a strong long-standing research base in the areas of: commercial hatchery technology, biological and physiological aspects of embryo, larval and juvenile development, and its complete understanding of all aspects of the sea cucumber production chain. “SCC” with its competent experts for Biological economies, has implemented a long score of complex projects, in Asia and Middle East and in the process of implementing projects in Europe. Sea Cucumber Consultancy has assembled a strong team of personnel, each with unique skill sets, to ensure the delivery of a high value solution for client projects. Our team have the passion to innovate hatchery technology through research and development programs, that enabled us to understand the whole process. Our geopolitical professional network with multi-seas exposure allows us to reflect upon our clientele the best of hard-bred peripheral experiences, values and knowledge. Our organized specialists are passionately capable of assuring tailored solutions aimed primarily at giving clientele a competitive edge sustainably over other consulting school of thoughts and or competitive peers. Consistency is our key, which is achieved by right genetics from the egg and fertilisation through to the farm gate and then plate to exceed the experience the consumer is seeking. We calculate breeding values to design breeding plans and develop all 'Standard Operating Procedures' (SOP's) to control all the environmental and biological variables we possibly can, and recognise those we can't, and so build redundancy into our processes. 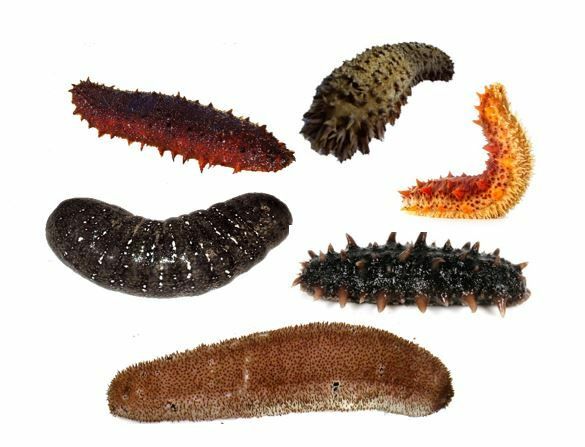 We are committed to delivering world-class solutions for the commercial sea cucumber industry. Our technical specialists provide state-of-the art technology in sea cucumber hatchery technology and grow out. Our technology is currently being used in successful businesses in several countries. Our staff make available, over 35 years of practical experience and research in commercial sea cucumber aquaculture technology to solve biological challenges within the sea cucumber aquaculture industry. This ensures that you receive advice that is the most time-tested, practically proven and cost-effective for your sustainable business.